El’s Retro Fashion: Stocking everything from 1920’s to 1980’s for Men & Woman including hats and accessories, wigs, shoes and more! Good quality Retro Fashion on Smith Street, Fitzroy. 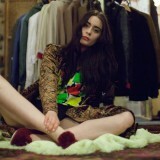 We buy and sell Men’s & Woman’s quality Vintage Clothing.